The Aston Origin is a high-performance cardioid condenser microphone. With a one inch (1″) gold evaporated capsule, it is versatile enough to use with most instruments- most notably on acoustic guitar and vocals. Its hand-selected capsule is also teamed with high-end transformer-less circuitry using only the best components. In addition, The Origin features Aston’s signature wave-form mesh head. This unique design looks great, whilst offering unbeatable protection for the heart of your microphone, the capsule. The shock resistant wave-form design allows the head of the mic to distort if given a heavy knock, and then return to its normal position with no damage. It also offers a degree of off-axis rejection, helping to eliminate unwanted artefacts from your recordings. 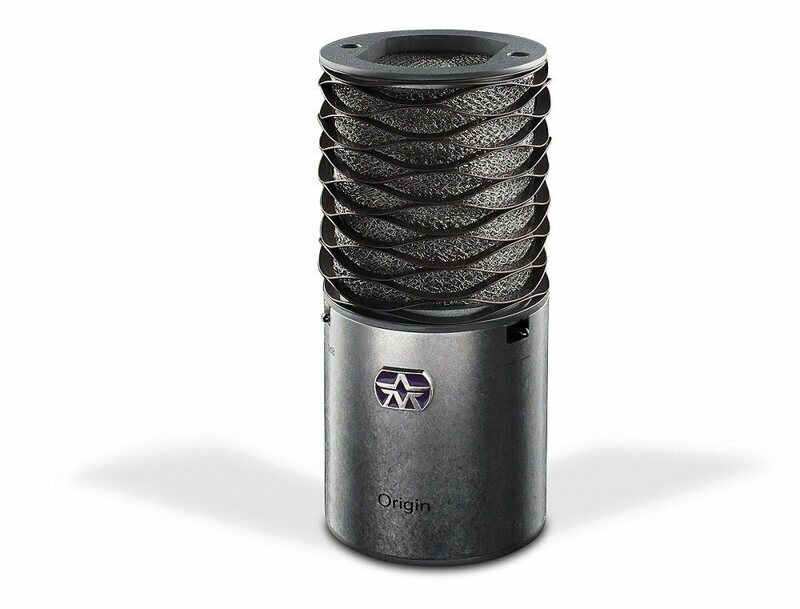 An exclusive mesh-knit pop filter is built into the wave-form head, whilst the random weave allows sound to pass while virtually eliminating unwanted plosives at source. It also shields against multiple wavelengths of electromagnetic radiation, making the Origin ideal in critically sensitive electronic applications. This completely encapsulating, single piece, mesh cage is formed in stainless steel which, as a result, means it won’t rust with use, and can even be removed and washed.